Deluxe beer starter kit includes all the items (except water!) 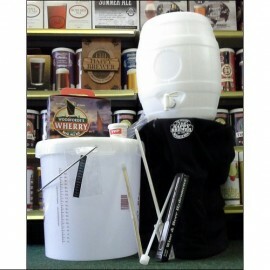 including the beer kit you need to brew 40 pints. 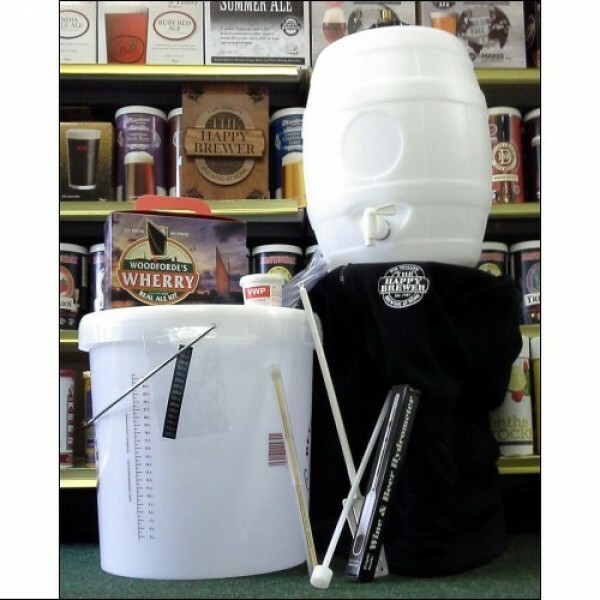 Kit includes a fermenting bucket, a quality pressure barrel with pressure release, hydrometer, thermometer, stick on thermometer, syphon stick, syphon tube, sterilizer, paddle plus the choice of any beer kit on our web site. Please tell us your choice in the comments section above otherwise Woodfordes Wherry will be dispatched.